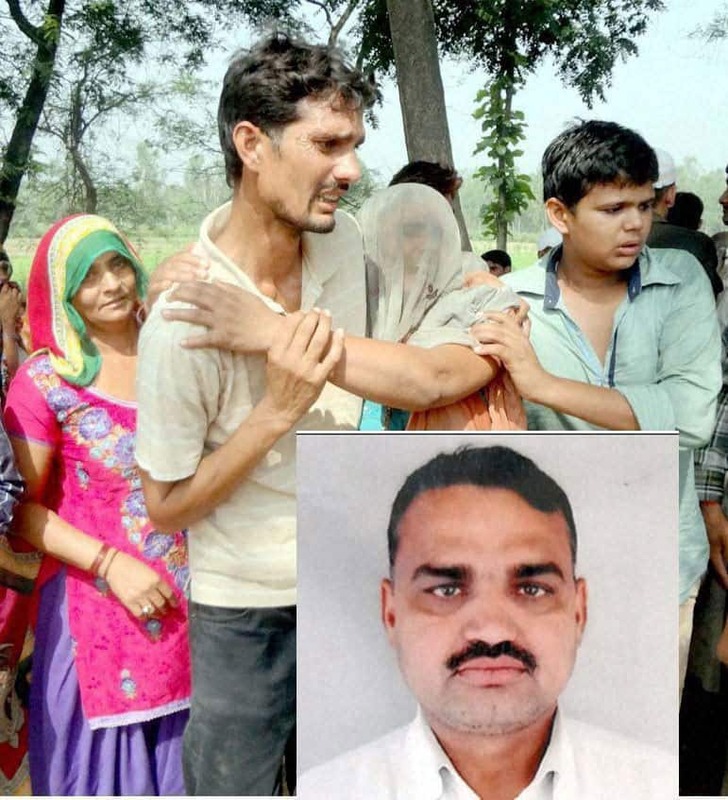 Crying family members of Om Veer Singh (inset), a former Army man and local BJP leader who was shot dead in his village, Mirapur, in Muzaffarnagar. 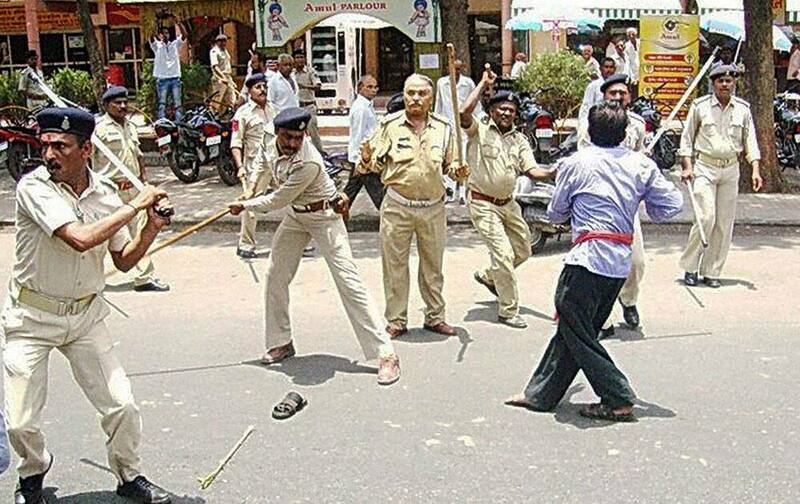 Police lathi charge milk producers during their protest at the headquarters of dairy major Amul ,in Anand, Gujarat on Tuesday demanding an increase in their remuneration. 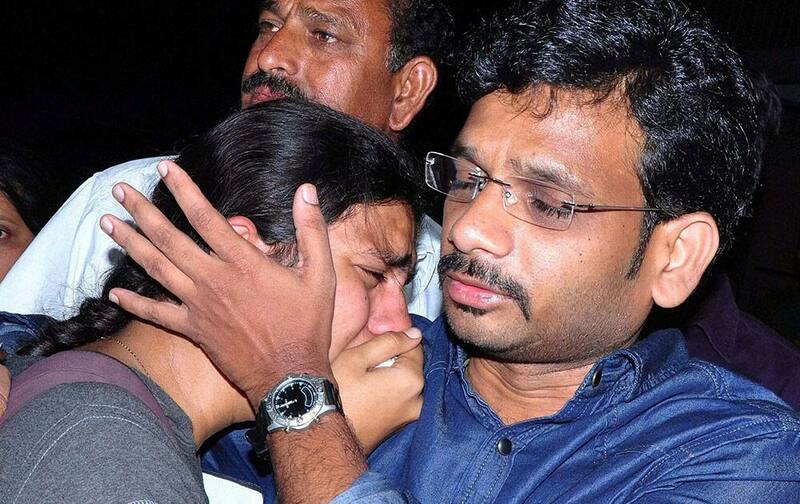 Relatives and family members mourn as they attend the last rites one of the students who was swept away in Beas River after release of water from a dam, at her residence in Hyderabad. 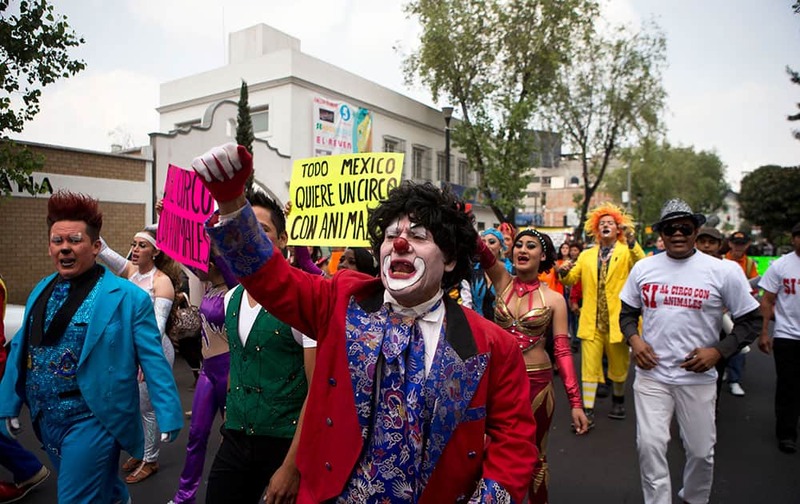 Clowns and other circus performers carry signs that read in Spanish `All of Mexico wants a circus with animals," and "Yes to a circus with animals,` as they protest a new city ban on animals in circuses, in Mexico City. 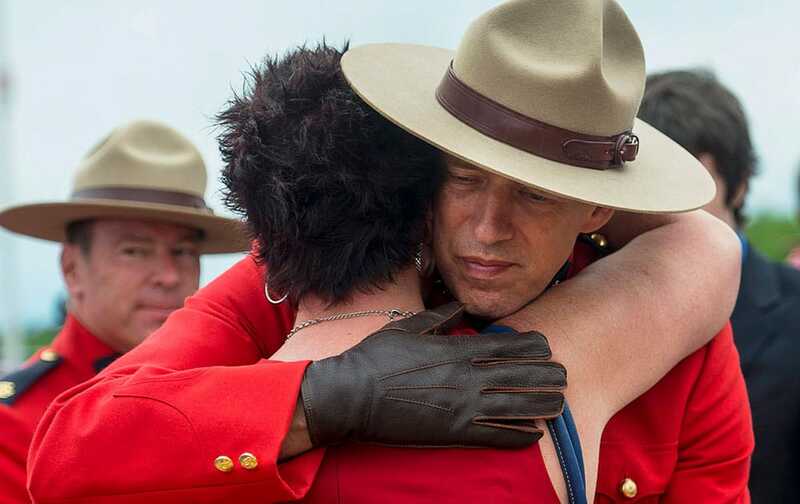 An officer is embraced at the end of the regimental funeral for the three Royal Canadian Mounted Police officers, who were killed on duty, at the Moncton Coliseum in Moncton, New Brunswick. 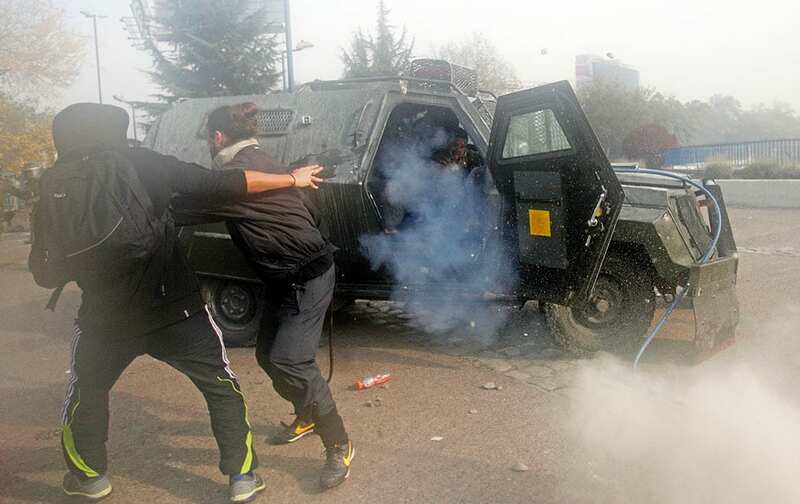 A police officer, is attacked by protesters after he opened the door of his armored car to throw a tear gas grenade in the courtyard of the University of Santiago, in Santiago, Chile. Briatin`s Kate, Duchess of Cambridge, left, meets guests at the garden party at Buckingham Palace in London. 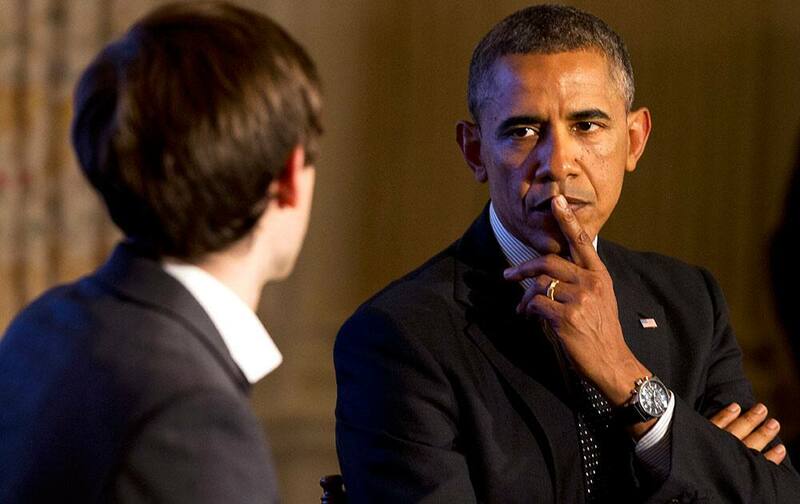 President Barack Obama listens to a question during a Tumblr forum from the State Dining Room of the White House in Washington, moderated by Tumblr Founder and CEO David Karp, left. 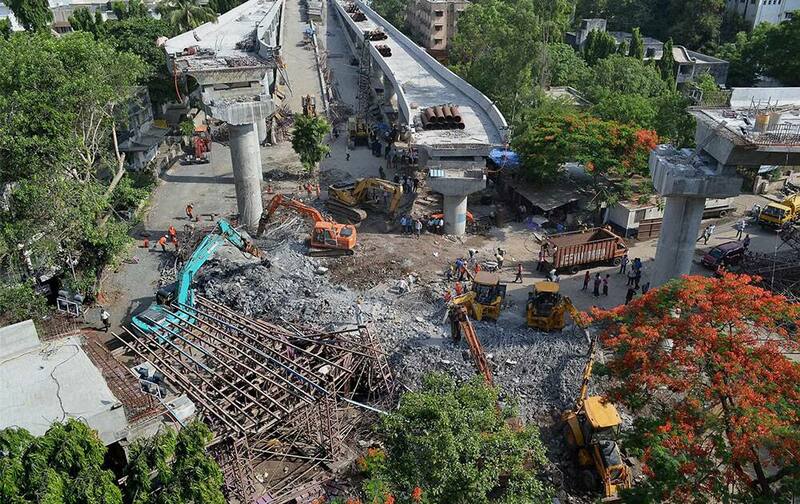 During the forum Obama conceded he was ashamed as an American and terrified as a parent that the United States can`t find it in its soul to put a stop to rampant shooting sprees. 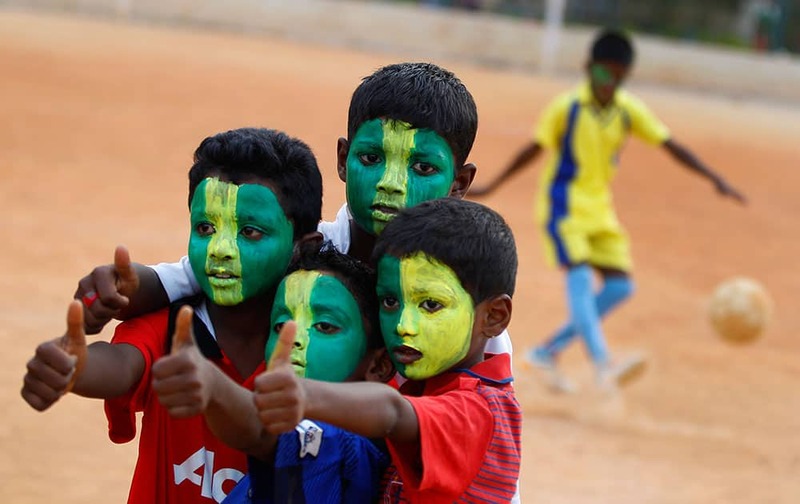 Indian boys with faces painted in colors resembling those of the Brazil`s flag pose for photographers, during a game of soccer in Bangalore. 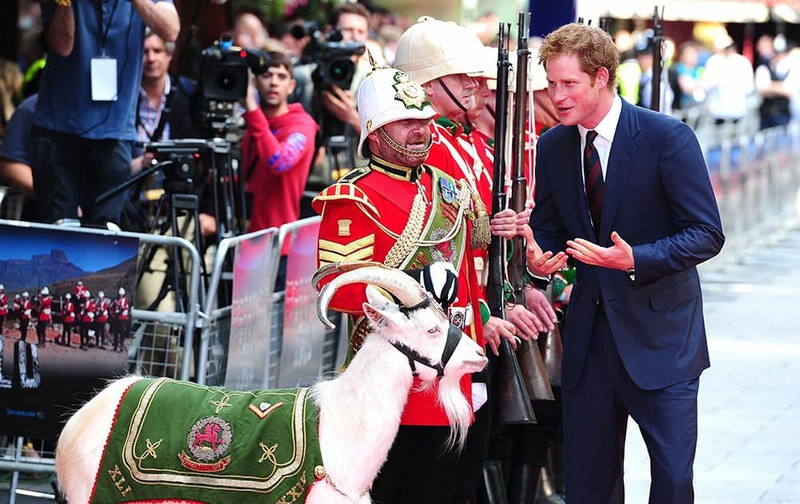 Britain`s Prince Harry, right, meets Sgt `Jacko` Jackson, Goat Major, with Shenkin, the regimental mascot of the 3rd Battalion, as he attends the 50th anniversary screening of the digitally re-mastered movie Zulu, in London. 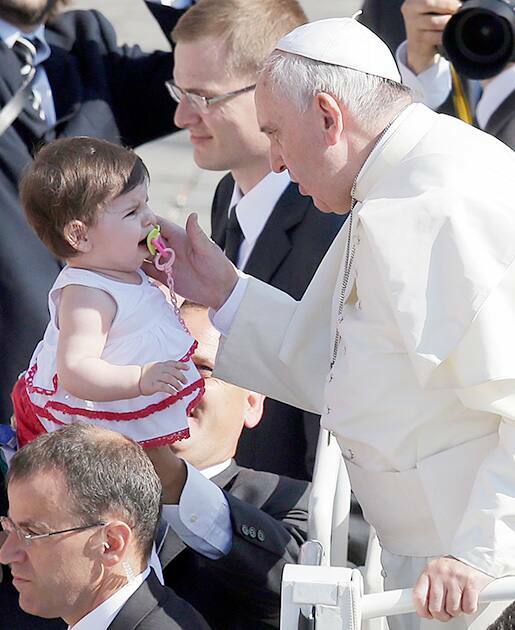 Pope Francis caresses a child as he is driven through the crowd during his weekly general audience in St. Peter`s Square at the Vatican. 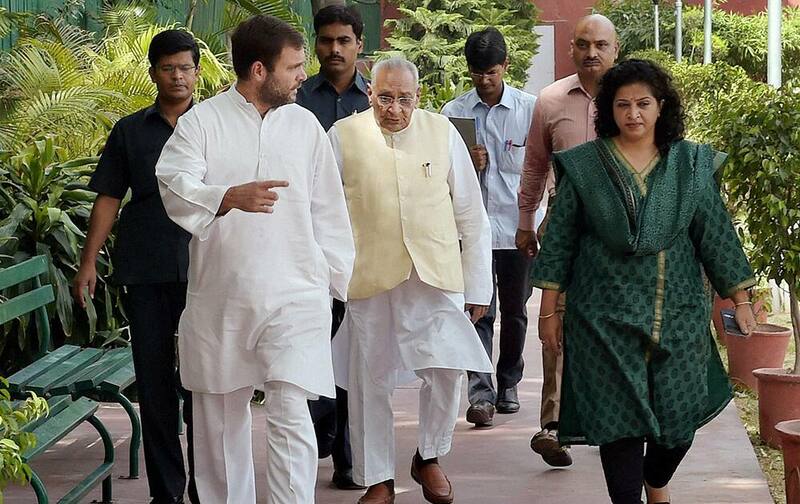 Congress Vice President Rahul Gandhi, Motilal Vora and National President of Mahila Congress Shobha Ojha arrive for a meeting of All India Mahila Congress leaders during the National Council meet at AICC office in New Delhi. 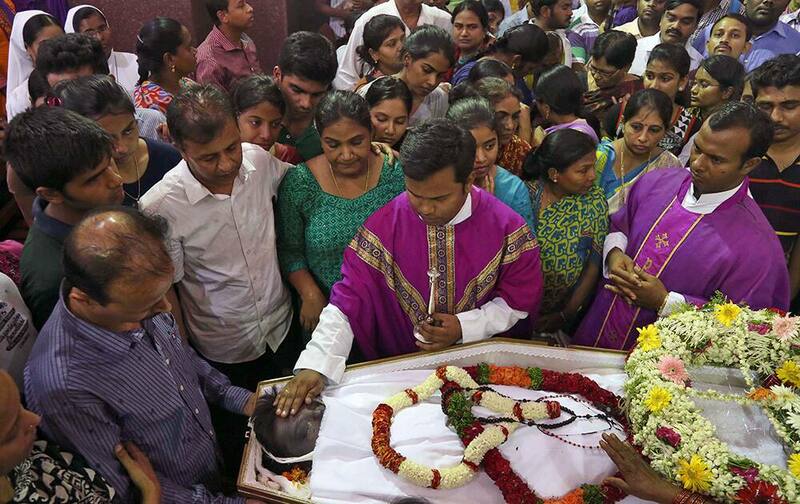 Catholic priests offer prayers during the funeral mass of Devasish Bose at St. Joseph Cathedral in Hyderabad. 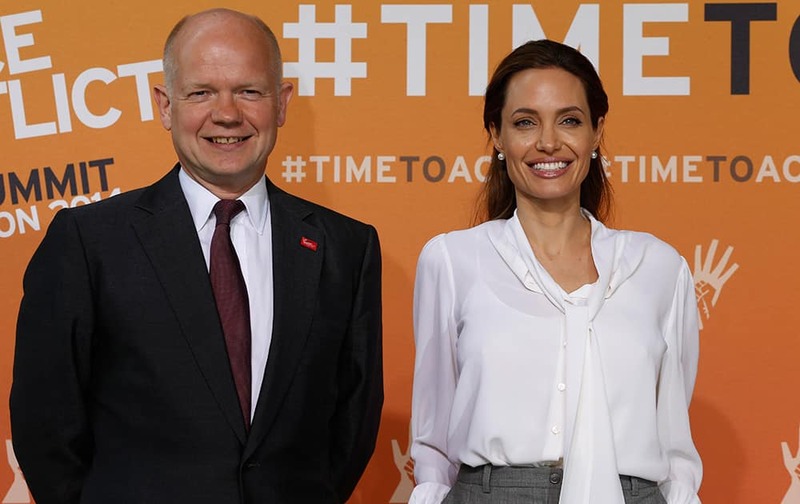 British Foreign Secretary William Hague, left, and US actress Angelina Jolie, Special Envoy of the United Nations High Commissioner for Refugees pose for the photographers as they arrive at the `End Sexual Violence in Conflict` summit in London. 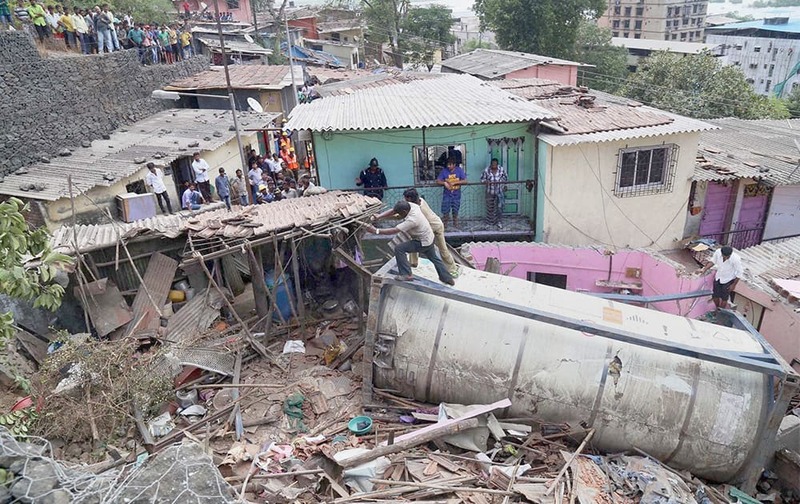 People salvage a shanty after a tanker fell off the Mumbra bypass on the slum houses in Thane, Mumbai. 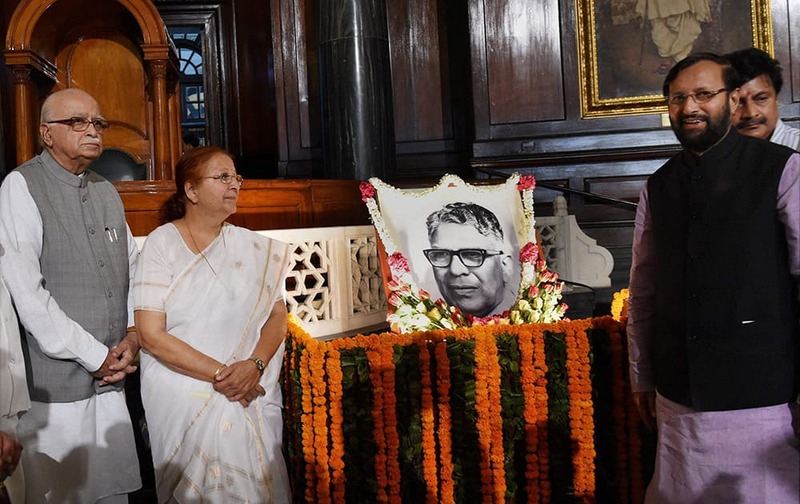 Lok Sabha Speaker Sumitra Mahajan, senior BJP leader LK Advani and Union I&B Minister Prakash Javadekar after paying tribute to eminent parliamentarian KS Hegde on his birth anniversary, in Parliament in New Delhi. 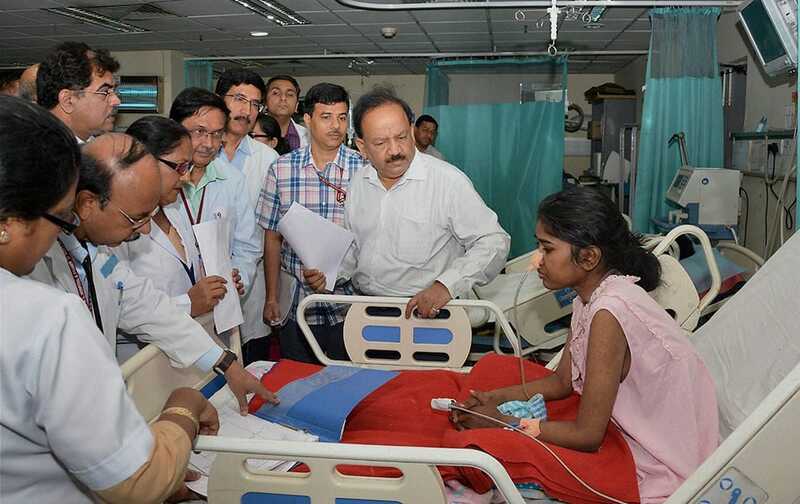 Union Minister for Health and Family Welfare, Harsh Vardhan interacts with a patient during a visit to Dr. Ram Manohar Lohia Hospita in New Delhi. 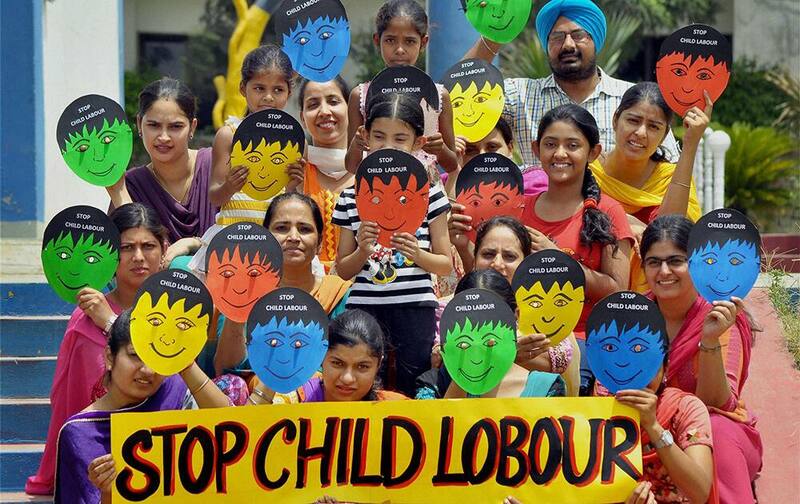 Teachers and students taking part in an awareness program against child labour on the eve of World Day Against Child Labour at a school in Patiala. 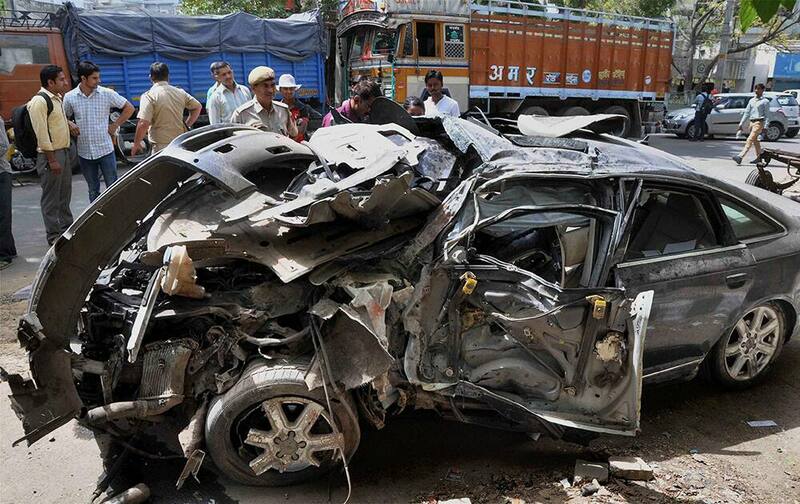 Wreckage of an Audi car after an accident at Brittania Chowk which claimed two lives on Tuesday night, in New Delhi. 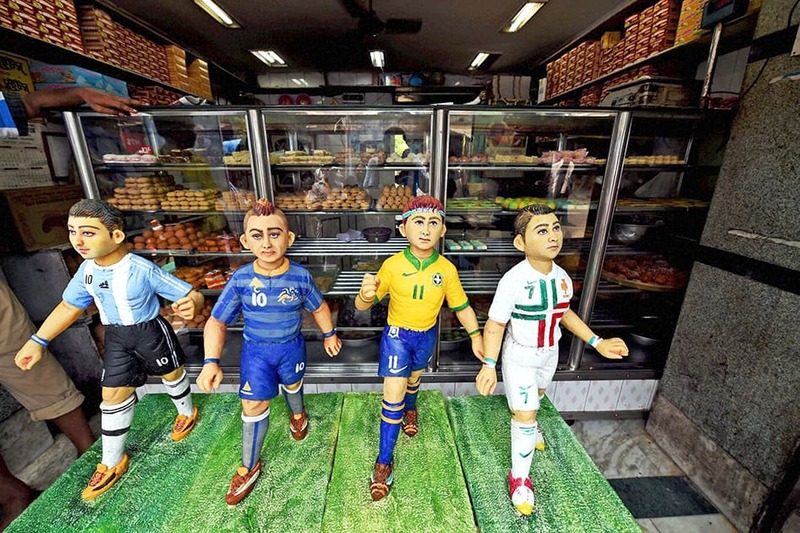 Sweet models of football stars for sale in a sweet shop in Howrah on Wednesday as the football fever gripped the city. 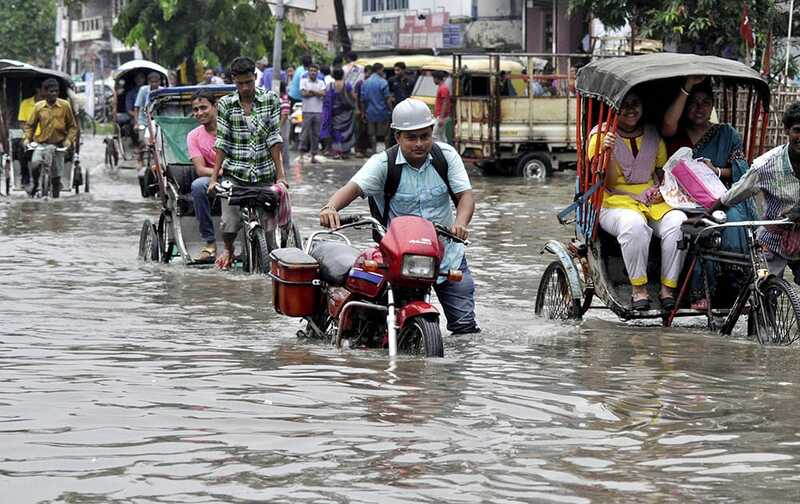 People wade through a waterlogged street after heavy rains in Agartala. England`s Alastair Cook and Sri Lanka`s Angelo Matthews pose with the series trophy during a nets session at Lords Cricket Ground, London. 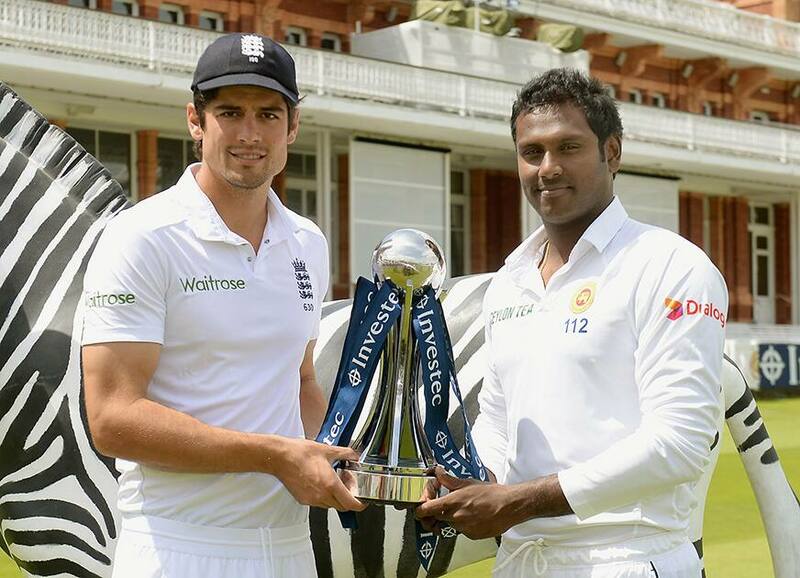 The first test in the current series between the two sides begins at Lord`s on Thursday. A riot police officer grabs a protestor who was shouting slogans against the monarchy, during a protest against the Monarchy near the parliament in Madrid, Spain. Models display T-shirts depicting Russian President Vladimir Putin and the one in center reads Greetings from Crimea at the biggest department store GUM in Moscow`s Red Square. 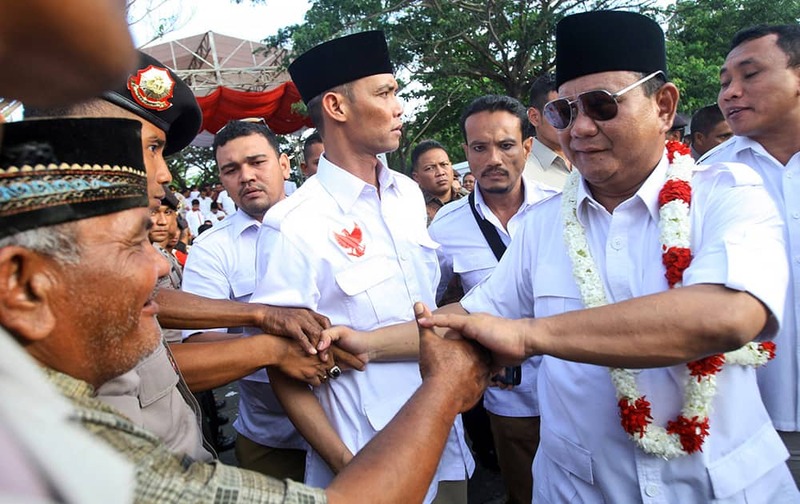 Indonesian presidential candidate Prabowo Subianto, right, greets supporters during a campaign rally in Banda Aceh, Aceh province, Indonesia. 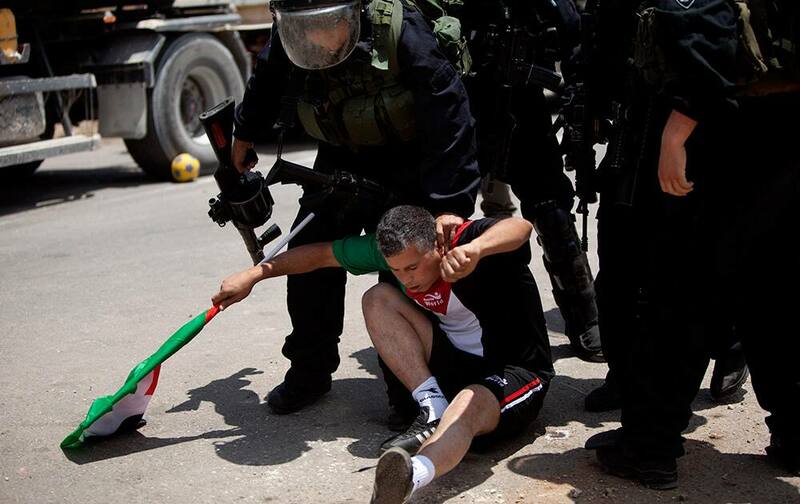 An Israeli border policeman holds a Palestinian protester by the neck during a demonstration in support for dozens of Palestinian hunger strikers in Israeli jails, outside Ofer military prison, near the West Bank city of Ramallah. Chile`s Mauricio Pinilla complains during team training for the World Cup in Belo Horizonte, Brazil. 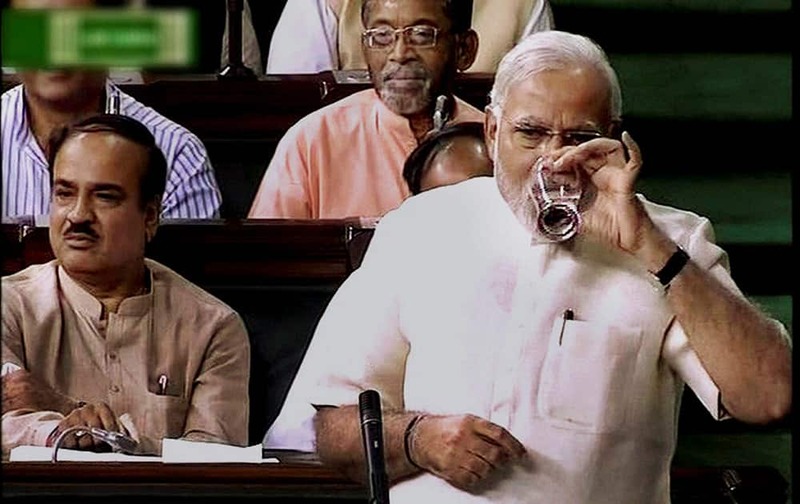 Prime Minister Narendra Modi during the discussion on President`s address in Rajya Sabha in New Delhi. Nita Ambani, Founder & Chairperson, Reliance Foundation with kids at the opening of a Foundation`s school at Koparkhairane, Navi Mumbai.